While SaaS solutions are increasingly used by companies, they still remain associated with deep-seated preconceived ideas today. From the anecdotal cliché to the crippling fear, the management software publishers must constantly fight against these misconceptions and prove that they are unfounded. The Cloud revolution has indeed completely changed the management of data and its implications are not yet well assimilated by companies: including the complete dematerialization of information and storage in an invisible safe! Here is our Top 5 prejudices which SaaS software have a hard time getting rid of. Once again, data security is the biggest concern for IT decision makers. Of course, zero risk is impossible: virtual networks are an attractive target for cyber criminals and are, from a technological point of view, as easy to attack as conventional networks. However, software companies are aware of the privacy issues associated with ERPs and have made data security their number one priority. Thus, their regular updates are mainly aimed at constantly fighting against security vulnerabilities by using new security developments: user authentication protocol, security protocol, firewall and so on. SaaS introduces a new type of application: it is no longer deployed within the company on physical servers but it is directly accessible online. And yet, this externalization of information does not mean a loss of control for companies, as many seem to think. Instead, it offers much more freedom in terms of computer maintenance. In particular, users have greater flexibility to change the configuration of their environments and to enter their personal data. In addition, requests for system evolution can be immediately notified and implemented by technical teams, since they can also connect directly to the solution via a simple web browser. Some people think that adopting an Saa ERP would cancel all the benefits of the previous organizational system, and with them all the previous investments. A return to square one, in short, which is far from being the case! In fact, the costs of migrating data from one system to another are always included in the ERP subscription package and are supported by the technical teams of the ERP publisher. Moreover, before the deployment of the ERP, the company must draw up a precise specification, which makes it possible to adapt the tool to its current processes. Thus, it is a customized software adapted to the traditional processes of the company that is set up; and all the organizational efforts of the past will not have been in vain! In any case, the few losses (if any) will soon be filled by a significant return on investment in terms of performance and management efficiency. Once linked to a provider, some companies feel compelled to re-engage systematically for an indefinite period, even when they have not been completely satisfied with their use. But in practice, you will not find exclusivity clauses. Remember that most ERP publishers offer yearly subscriptions, which are not automatically renewable. ERP publishers will instead be looking for constructive customer feedback that can help them improve the functionality of their solution. In this context of transparency and exchange, it is therefore quite possible for the company to break its commitment to a management tool and move towards a more interesting competitor. Especially since migration from one solution to another is not so complex! Admittedly, adopting an ERP has an impact on the daily life of all the services of a company and supposes to set up new modes of organization, with a new tool that everyone will have to learn to master. However, it is unlikely that the adoption of an ERP will provoke a tidal wave of changes in the company. First, it does not necessarily mean getting rid of all the solutions in place. For example, Fitnet Manager offers many APIs to connect an ERP environment with many other solutions and automatically transfer data, the two software running simultaneously and complementary. Secondly, the SaaS ERP allows you to use only the features you want, without necessarily activating all the modules. The tool will only affect certain processes, leaving intact your management habits that are already working well. Example: you want to better manage the billing of your projects, but without affecting your HR management that you already manage very well? The technical and commercial teams will be at your disposal not to extrapolate and stick to the scope of your request. Finally the publishing company will have the role to help you take the wave by training all the directors in their mastery of ERP and answering the questions of each user. The change will be done with confidence, without distracting your teams or affect their performance. The technical and commercial teams will listen to you to stick to the scope of your request. Finally, the role of the ERP editor will be to train all the administrators in their mastery of the software and to answer the questions of each user. The change will be done with confidence, without distracting your teams or affect their performance. 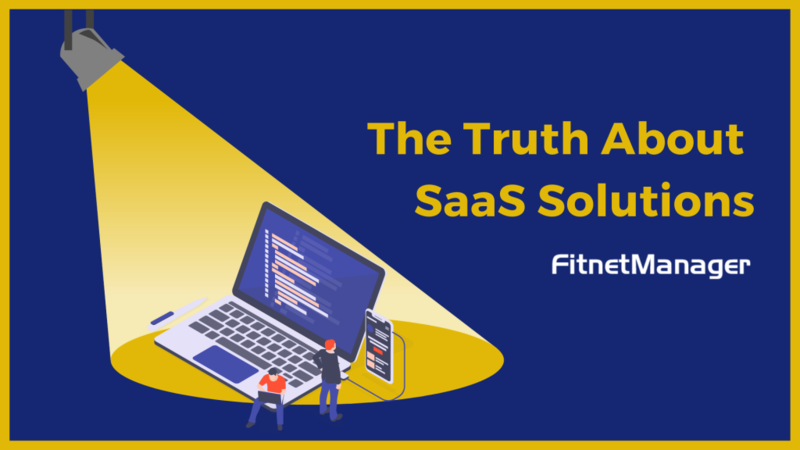 By informing companies about the true implications of SaaS, SaaS software vendors are slowly erasing these misconceptions that ultimately only hinder corporate performance.